Antonio Guterres says Syria’s failure to answer questions about its chemical weapons program is concerning. UN Secretary-General Antonio Guterres on Friday said that Syria’s failure to answer questions from the international chemical weapons watchdog about its chemical weapons program “remains a source of very deep concern”, The Associated Press reported. While the Syrian government partially addressed some questions raised by the Organization for the Prohibition of Chemical Weapons (OPCW), said “other questions regrettably remain unanswered”, added Guterres. In a letter circulated Friday transmitting the OPCW’s latest report to the Security Council, Guterres said he continues to urge Syria to resolve all outstanding issues. The OPCW’s inspectors last month entered the Syrian town of Douma, where an alleged chemical attack took place in which chlorine and sarin gas was used, killing dozens. 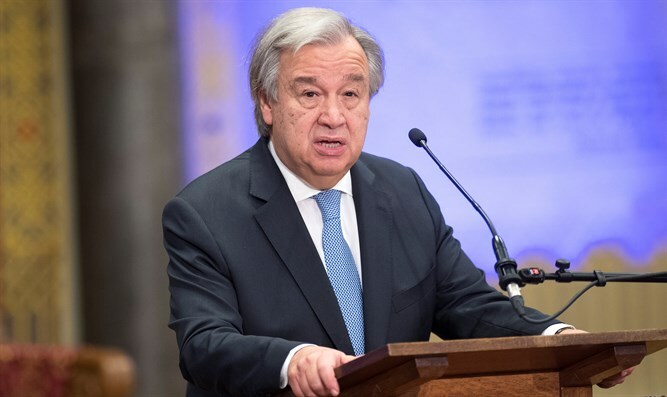 Guterres said “the profoundly alarming allegations” of chemical weapons use in the April 7 attack further underline the need for a new body to determine responsibility for chemical attacks, according to AP. The OPCW said Friday that its fact-finding mission to Douma brought back samples for analysis at OPCW-designated laboratories — a process that could take at least three to four weeks. Its inspectors are only mandated to establish whether a chemical weapon was used, not to apportion blame. Russia vetoed a Western-backed council resolution in November that would have extended the mandate of a joint UN-OPCW body charged with determining responsibility for chemical attacks, dooming its operation and making accountability exceedingly difficult. Moscow also vetoed a U.S.-drafted Security Council resolution that would have set up an investigation into chemical weapons use in Syria following the Douma attack. He reiterated that “any confirmed use of chemical weapons by any party to the conflict is abhorrent, reprehensible and a clear violation of international law” — and perpetrators must be held accountable.